Abby is a first generation DACA recipient. Her ultimate goal is to facilitate a program that advocates for a love for learning in children who are often not given the opportunities to appreciate an education, like the one she has received. “I realize that my college education is a powerful privilege, and I plan to utilize my privilege to empower others, “Abby said. 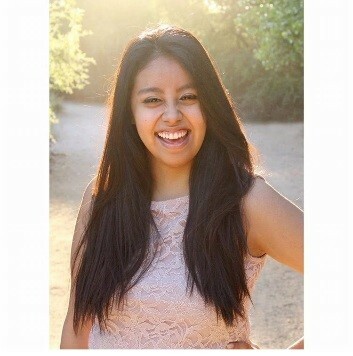 Abby attends Mesa Community College where she’s studying sociology and considering a minor in Chicano studies. Being a first generation college student, she likes the familiarity of being on the campus that her brothers previously attended. It gives her a sense of security. Abby’s received numerous scholarships and plans to transfer to a university, even if she must pay out of state tuition as it’s important to stay close to her family as they depend on her. The Maricopa Community Colleges Foundation supports students like Abby through scholarships and established the Hope Scholarship to help those who have to pay out-of-state tuition, like DACA students, as enrollment has declined due to increased tuition rates of 284%. This has caused a significant decline in DACA student enrollment. To date, the Hope Scholarship along with other scholarships have awarded $121,864 and has helped more than 100 DACA students keep their dream alive.